There have been countless articles written to help you with reducing temporary files that clutter your hard drive. 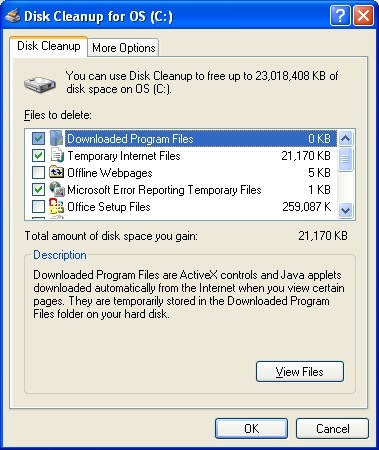 Windows performs cleanup for most of these files under normal circumstances, but control over the process is limited. 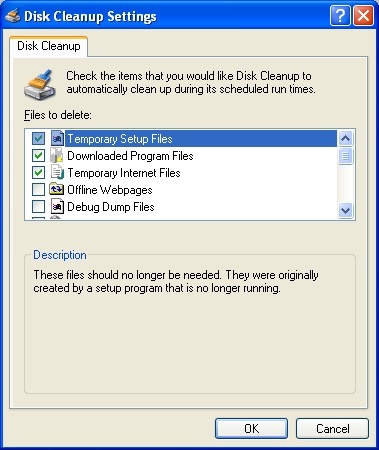 To gain more control over these files, you can use CleanMgr as part of a normal monthly maintenance cycle. Now you are able to select the categories you want to remove, for example, Temporary Internet Files, Microsoft Error Reporting Temporary Files, Recycle Bin, Temporary Files, WebClient/Publisher Temporary Files, etc. Note these are all temporary files. There are also other categories you should normally never select. 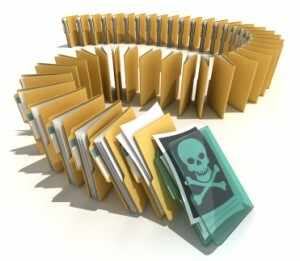 These include Office Setup Files, Log Files, Compress Old Files and Catalog files for the Content Indexer. Please note Windows Vista and Windows 7 users will have more options available. 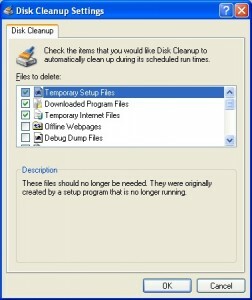 If this is the first time you have ran CleanMgr (Disk Cleanup), the initial scan process could take quite some time. These scan’s may take in excess of an hour. 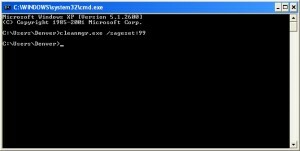 Microsoft had provided a way to streamline this process through preferences, but you have to use the Command Prompt to take advantage of it. 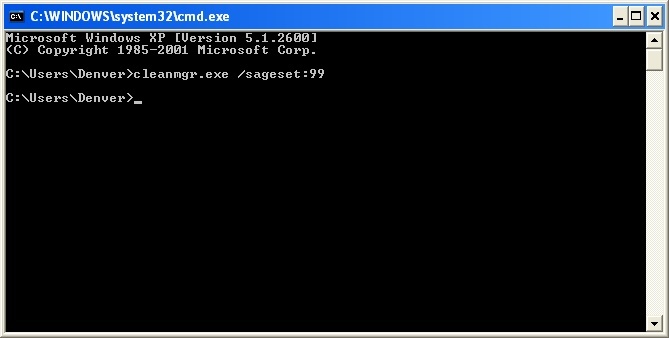 To get started we’ll need to use the CMD prompt. Alternatly, you can “Run” a command from the “Start Button” this will work too. 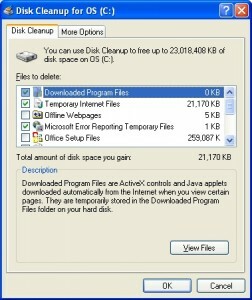 On Windows XP computers, you should usually select the following categories: Temporary Setup Files, Downloaded Program FIles, Temporary Internet Files, Microsoft Error Reporting Temporary Files, Old Chkdsk files, Recycle Bin, Temporary Remote Desktop files, Temporary Files, WebClient/Publisher Temporary Files, Catalog files for the Content Indexer. Optionally you could select Debug Dump Files and Offline Webpages as well. You should almost NEVER select Office Setup Files. 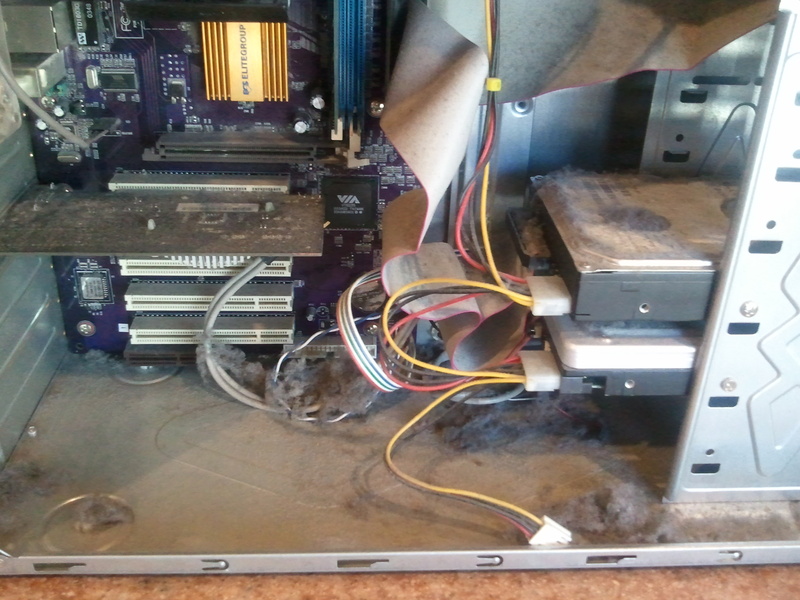 This process could take some time to complete and will run on all attached drives. 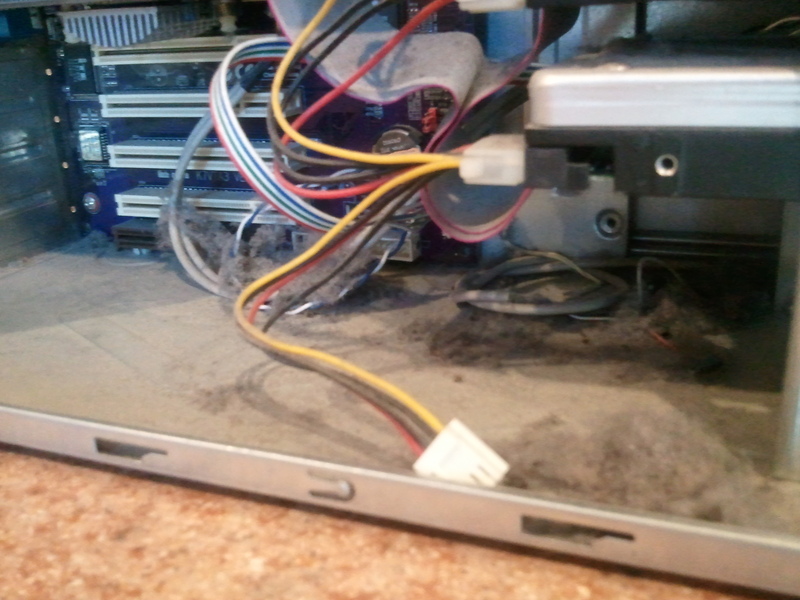 So if you have network drives or external drives you do not want included, be sure to disconnect or remove these drives. 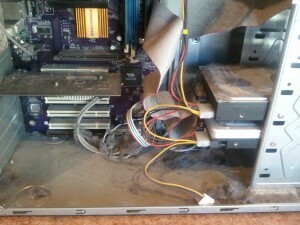 my PC Techs provides expert computer repair and computer consulting services to the Phoenix metro area. For more information or to schedule an appointment please call (602) 456-0150.